The CYO Basketball program is open to children from grades 3rd - 8th grade. The season runs from the beginning of November-February playing 10 games plus playoffs if the team qualifies. Like us on Facebook and tell your friends!!! CYO Night Warriors Games !!!!! ​ Check the NEW SI Calendar for updates!!!!!!!!! 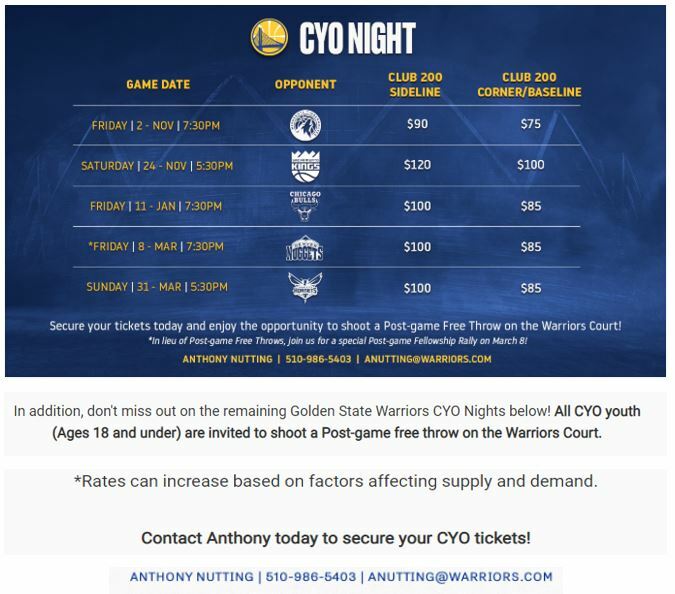 ​FREE CYO TICKET WITH ONE PAID ADULT TICKET!!!! 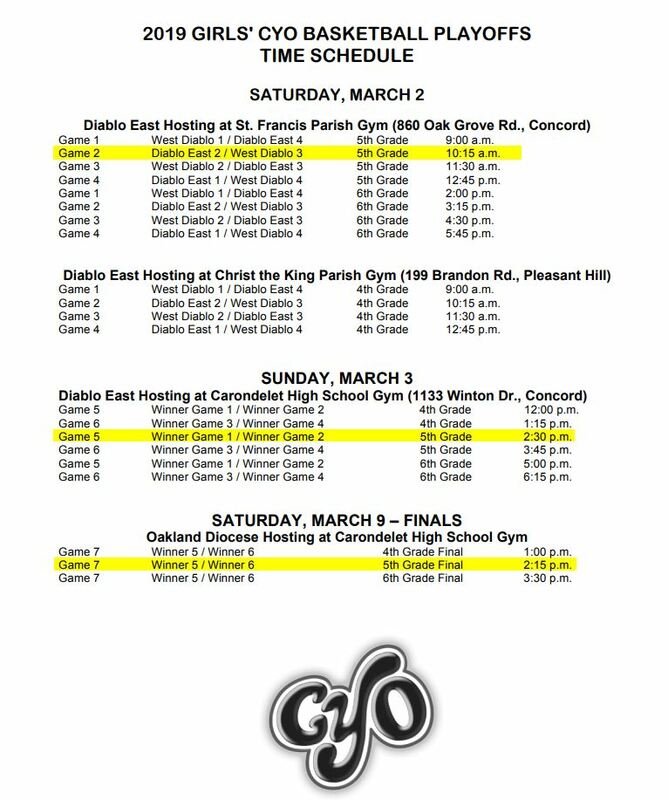 All CYO players (girls and boys) wearing their uniforms will be admitted for free!!!!! CAL BEARS Youth Night 2/3/18!!!! This 2017-18 SEASON will be dedicated to the late Coach Wendell Smith in honor of his loyal service to St. Ignatius of Antioch CYO Track & Field and Basketball Programs. CYO Night for the Golden State Warriors!! !